When I first spotted Shades of Clay's cabezel clay molds, I could instantly see their potential. 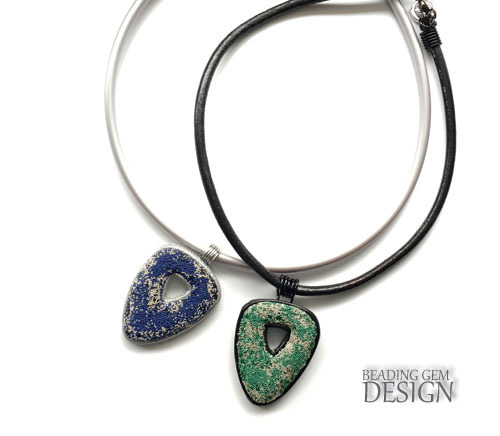 The molds allow you to create both the pendant bezel as well as the insert cabochon. You can have a lot of fun with creating unique art pieces. 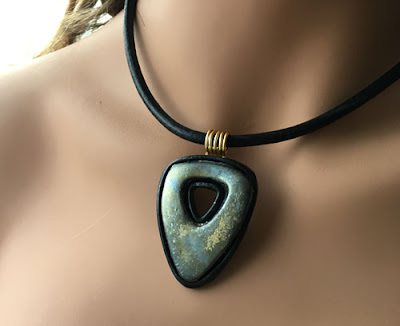 Bonus point - if you also make the bails out of clay and use, say simple leather cords with no metal findings, the jewelry pieces will be ideal for those who are metal allergic! Wendy launched her new cabezel collection recently. She called them holy cabezels as they all have holes in them! Watch her demo and see the amazing ideas for these molds! 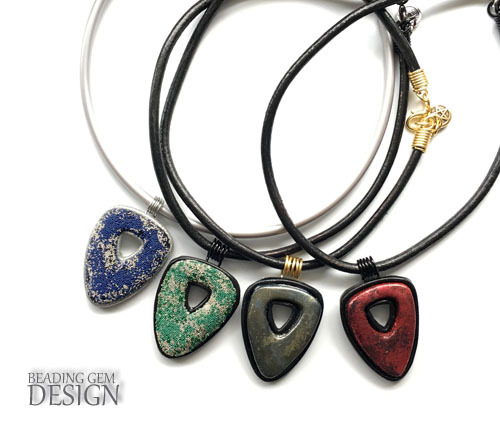 There are several different shapes available - all of which have a modern, funky style. I received the Evelyn for review. I put this cabezel mold through its paces. The difference with the previous cabezels I used is the hole. Would having holes in the middle might affect the molding process? 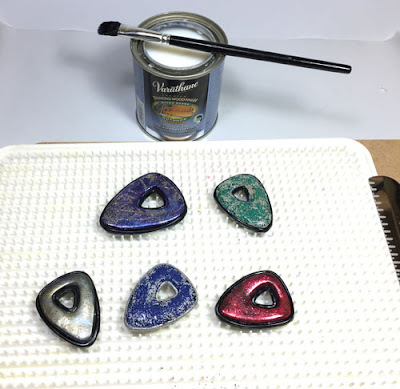 In my previous tutorial, I made polymer clay cabezels but filled them with resin rather than make polymer clay. This time, I also tested out the mold with resin clay. 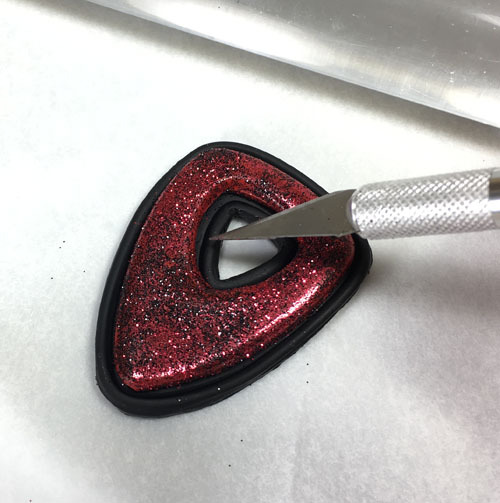 Making the bezel out of polymer clay works better than with resin clay. The former is not as firm as polymer clay so it was hard to get crisp edges. So I stuck with polymer clay bezels. I conditioned the Premo polymer clay with my pasta machine set at the thickest setting. You do have to spray the mold with water to act as a release. The benefit of these translucent mold is you can see through and be able to position the mold correctly over the clay. Wendy likes using the X-acto knife for cutting. I find I got better results if I bend the tissue blade and cut most of the shape out that way. I used the knife to finish up the corners. One of Wendy's suggestions is to cut out the inside shape when the polymer clay is fresh out of the oven. I much preferred to do the cutting before baking. The clay is softer and easier to cut this way. But one needs care to keep the edges neat when doing so. Do not distort them. I used both the knife and a blunt tool. 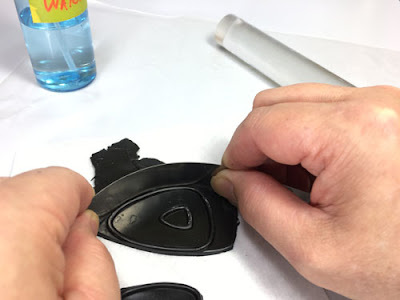 All the pendant frames were baked according to the clay manufacturer's instructions. (If you are new to polymer clay, work on small pieces of parchment paper. These make it easier to transfer to the oven.) You can also use glass tiles but these will leave shiny spots at the back after baking. 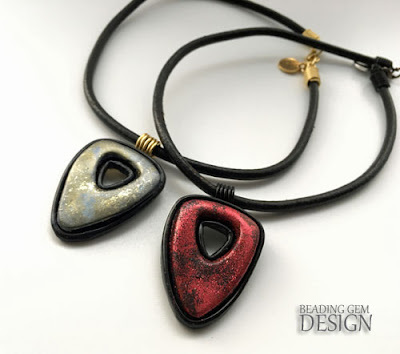 I had fun with simple embellishments when it came time to make the cabochons. For this blue and gold pendant, I rolled out some blue polymer clay - again using the thickest setting on the machine. Then dabbed with both blue and gold Jacquard Pearl Ex powders. Tip - get make-up sponges from the dollar store! I also used a stencil which I bought from a local art store. 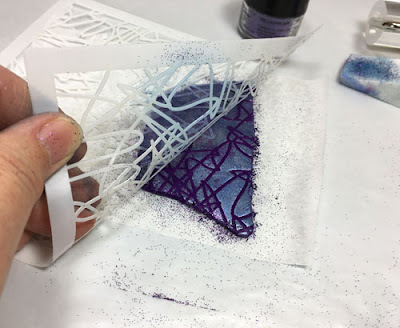 I rolled out some purple polymer clay, placed the stencil and then dabbed with a mixture of blue, purple and metallic silver Jacquard Pearl Ex powders. One very important finding about using Cabezels. It is better to bake one half of the piece first. This reduces distortion problems. I baked the pendant bezels first before making the cabochons. 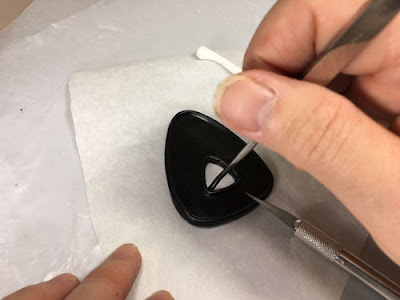 When I added the fresh unbaked cabochons, there is a gap (see picture below where the blade tip is pointing). 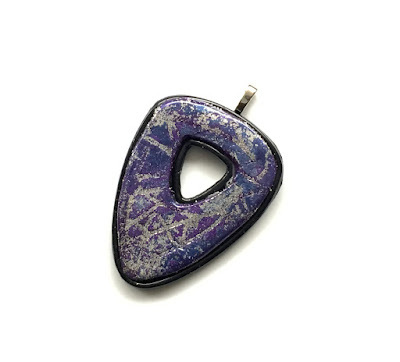 This is easy to fix - I gently pressed down on the cabochon - evenly until the gap disappeared. Then I took the piece to the oven for baking. 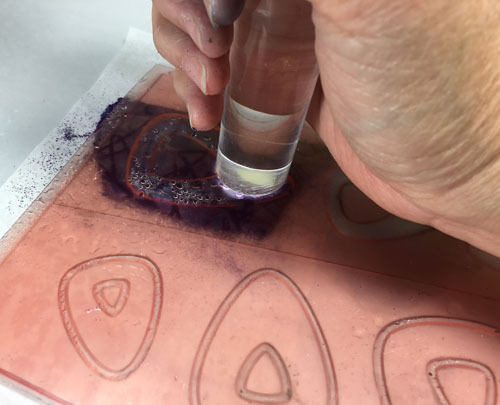 If you are using a stenciled pattern or millefiori/cane design, bake the cabochon first. This way, the pattern is not distorted when you gently press the unbaked bezel closer. The next test was with resin clay. I used smaller pre-colored resin epoxy clay. 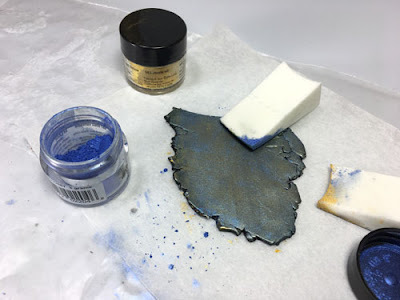 You can use white or natural resin clay and tint it with oil paints, alcohol inks (the alcohol evaporates), resin colorants but the results are more muted. 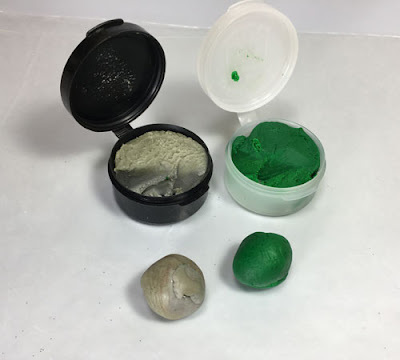 Create two even sized balls of Part A and B and thoroughly mix them up. I didn't like the green so I added a bit of blue oil paint to change the shade. 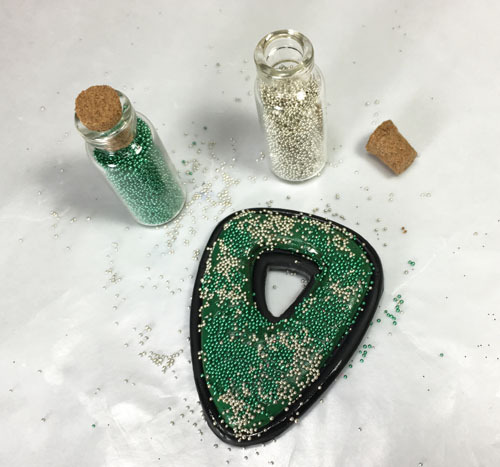 Since resin clay is adhesive, I pressed tiny glass beads into it. No baking is necessary. Just cover and let it cure overnight. I added a couple of coats of Varathane (water- based, diamond wood finish, outdoor - available at hardware stores) to all the finished pieces, drying covered up, in between coats. Then I made some easy wire bails (see tutorial here) using Parawire. I used E6000 to glue them on. You could also use regular glue-on bails. 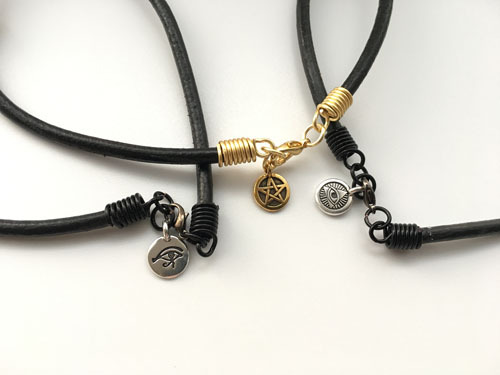 I also made my own coiled wire ends using 16 G and 20 G Parawire for my thick leather cords- see this tutorial I wrote about. And added some lovely Tierracast charms which I received for a previous review! 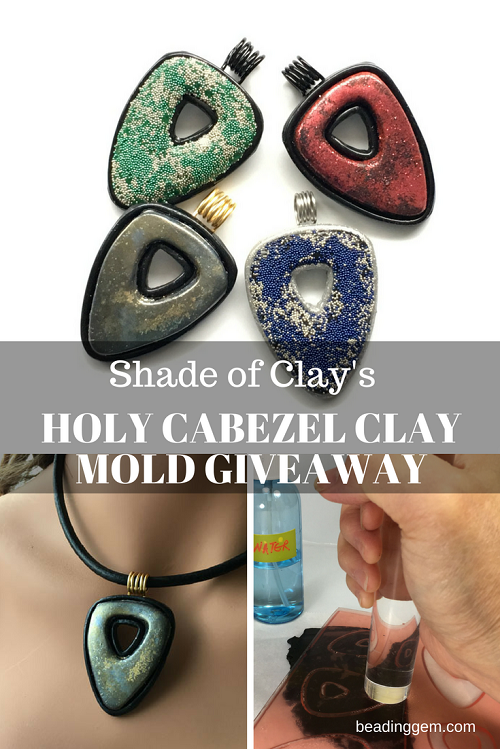 If you'd like to win this giveaway for one Shades of Clay Holy Cabezel Jewelry Mold of your choice, please make a comment below. Make sure you leave contact info below if you do not have an online shop or blog. It ends in a week's time at 6 pm EST Monday, November 20, 2017. I will pick the winner randomly and announce the results as soon as possible after. So be sure to leave a contact email if you don't have an online link or make sure you come back and check! Otherwise I will redraw in a week. Good luck! Ooh! This one I could really use. Please add me to this fabulous giveaway!!! I love these! There are so many posiblities for how to use them! Such a nice cabezel mold. I would definitely use this on to make some great pendants! Really love these! Thank you! Great idea. Please enter me in giveaway. I'm a blog follower. As always enjoy seeing the new products and techniques you showcase. I have some of Wendy's original cabezels and would really like to try her holy cabezels. Please enter me in the giveaway. These are amazing! I'd love to make some with my granddaughters for Christmas presents. Please enter me in the giveaway! Years ago I made beads and earrings out of polymer clay. I would love to win these molds and start using them for jewelry. 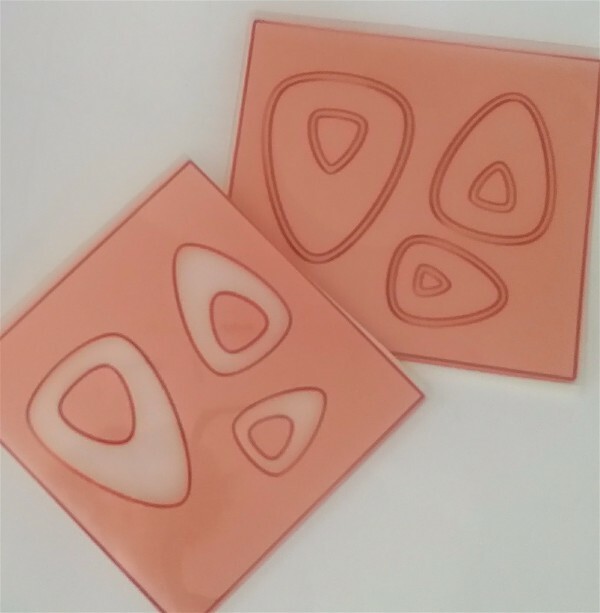 Very interesting molds with lots of potential for different designs and interpretations. I woke up and was checking my emails. I saw this and wanted to get busy with my clay. I am just starting to work with clay and these moulds are gorgeous. Oohh, I've had my eye on these for a while. kcookman (at) hotmail (dot) com. I have a set of the cabezel molds in a different design and they work wonderfully! I noticed these as soon as they came on the market and thought they were a lovely design. I like to work on ceramic tiles that I can then place right into the oven. If I'm working on a big piece I had my local glass company make me up a piece of glass that is resistant to high temps and is the same size as the wire racks that come with the oven. I just slide the whole thing into the oven as it works like it's own rack. I find working with glass tiles a little more cumbersome - the tiles are very hot coming out of the oven. There are also shiny spots at the back of the cured pieces. So that latter is why I use parchment paper. But I like the idea of a large tile for multiple pieces!! The woman is a genius. I have used premade and have to find things to fit them and sometimes get defeated. I have also made my own out of silver, a way longer process, but can fit to my needs. I have a ton of poly waiting to play with and would love to use this mold to make my own. I can't believe that someone thought of it before me. Oh well, maybe I can win it and share the joy and benefits. Those are awesome!!! Add me in as well!! Wow, these look like a lot of fun. I would love to win. So many design possibilities! Holy Cabezel this was awesome to read...and a prize too! Wow! This looks like so much fun! I'm going to watch the video again - thanks for the wonderful giveaway! Holy Cabezel Batman! I'd love to try these! Thanks for another wonderful giveaway! I have a number of Cabezels for making stones, but would really like one of these. 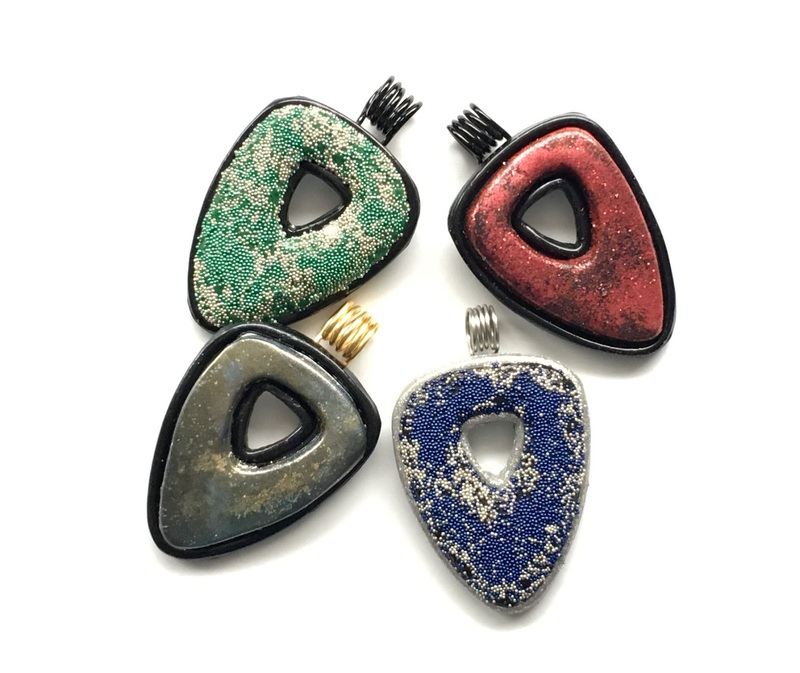 Would love to make some of the pendants with some of my techniques. Thanks so much for doing this and sharing your techniques and tutorials. I would love to try some of these. They look great! Thanks for the giveway. These look like such fun projects. Unique and creative. Lots of possibilities. thanks for the ideas as well as the give away! Oh those are gorgeous!! I love them! I would love to make some like that! Thank you for doing such an awesome giveaway! Make the cabochons out of resin clay as I did with the micro beads pendants. Resin clay is heavier than polymer clay. Note that it is softer to work with than polymer clay. You have a few hours working time before it gets hard. Adding a metal bail will also add to the weight. I am returning back to polymer clay, with the holidays just around the corner, these would make beautiful gifts, for my co-workers to gift! These Cabezels are fab! such a great idea. I've had my eye on the holy ones for a while, already have the rest of 'em! The shapes and so cool and funky! Good Luck and thank you to everyone that entered! Pearl will be choosing the winner later today. Good Luck! 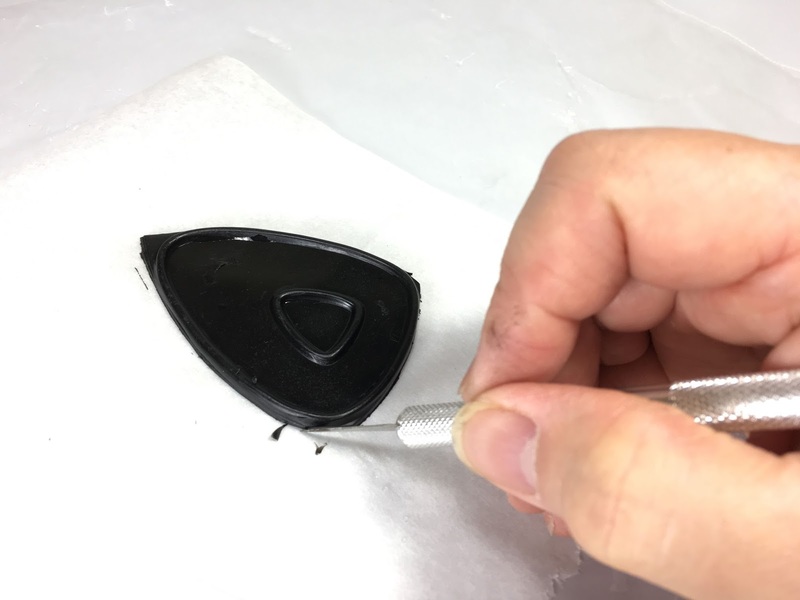 FYI We have just re-written the instructions for using all of the different versions of the CaBezel molds. They are so much more extensive than the first set of instructions. They are in a downloadable pdf format this time. We will figure out a way to get them out there to anyone interested. We will be publishing them on http://www.shadesofclay.com as well of course. Pearl did an amazing job using the CaBezels. 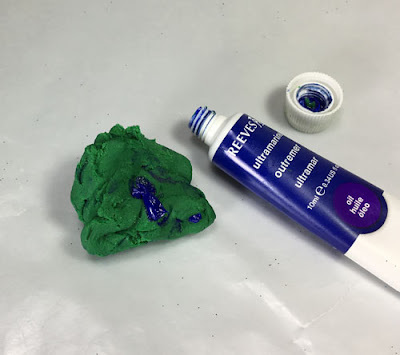 If you feel you want a bit more info then you can always watch videos on how to use them here http://www.shadesofclay.com/instructional-videos/ Thanks Pearl! Your examples are wonderful and make me really want to try this. Perfect addition to kumihimo - especially with wire finishes. Sign me up. What a fabulous tool! Thank your for the great tutorial as well! Oohh this would be a lovely contest to enter! I've been curious (and admittedly a touch fearful) about playing with these! Wow! Wow! Wow! These are beautiful! My mind is spinning with the possibilities! I would love to be entered into this fabulous competition. Thanks and wishing everyone a beautifully creative day.